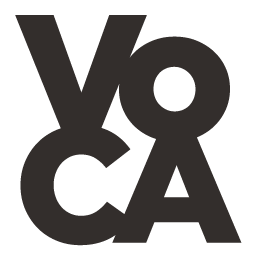 The VoCA Summit was a one-day, interactive program designed to inform and engage the audience in dialogue about artist interviews and contemporary art stewardship. The agenda comprised a combination of individual presentations, panel discussion, Q&A sessions, and live interview, as well as serial performances from artist Chris Kallmyer. During the event, attendees connected with VoCA on social media by using the hashtag #VoCASummit, ​and by tweeting and instagramming @VoCA_Network.